GSI International Inc. is a fully capable manufacturing facility. 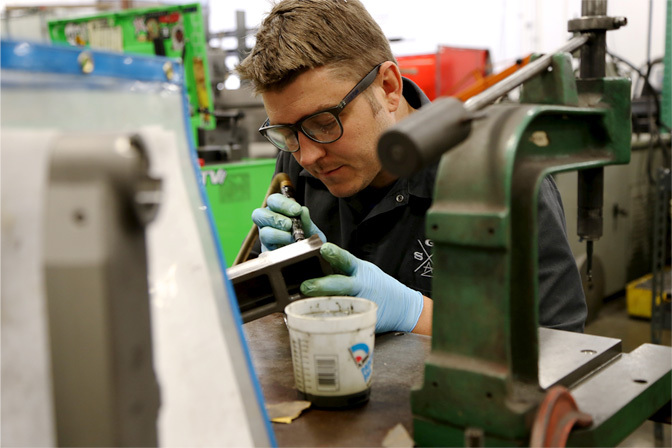 Our Staff has over 30 years of product design and manufacturing experience. We utilize Solidworks GibbsCam and Rome reverse engineering software to design and manufacture a wide variety of products used around the world. 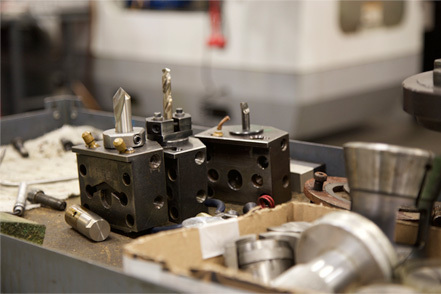 Machining castings and billet materials is our specialty from small components to larger more complex parts we can help find a solution to fit your needs. We currently manufacture a wide and diverse grouping of products DC electric motors and solenoids have been a main stay for us at GSI as well as electric control box's and any number of small to large machined items. 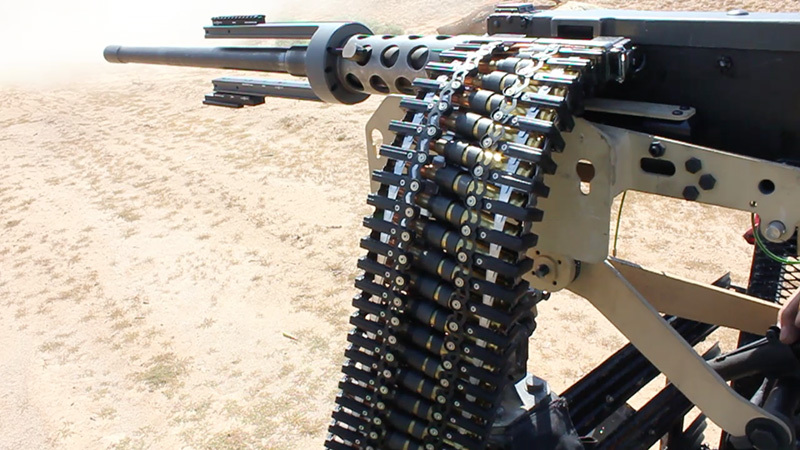 We also produce some of our own products such as a patented Bullet feeding system for the reloading industry and a patented ammunition feed chute to support the US armed forces. 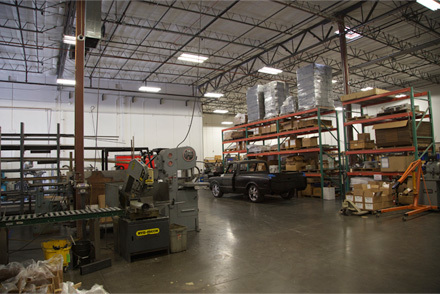 The GSI manufacturing facility is a 15,000 square-foot building located in sunny Chandler, Arizona. We pride our selves on doing complete part manufacturing for our customers. We have a complete list of approved vendors for Heat Treating, Anodizing, Black Oxide, Chem Film, Electroless Nickel, Passivation of Stainless Steel, NP3 and Powder Coating. 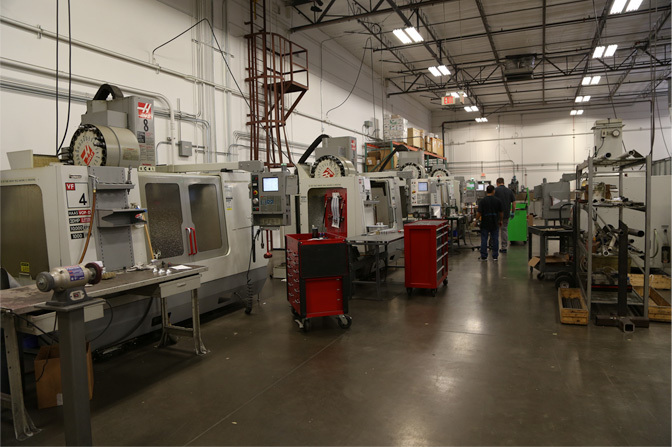 The CNC Machining department has 11 HAAS CNC milling machines. Sizes range from VF0 to VF4 with fourth axis capabilities. The CNC Lathe Department has 1 Daewoo Puma 240M 1 Daewoo Puma 240, 1 Haas SL20 and a Okuma Lathe. We have 2 Hardinge Chucker Lathes to assist with light secondary ops from the lathe department. 2 Bridgeport manual milling machines and a Moriseiki engine lathe. The material processing department employs 1 CNC cold saw, 1 CNC horizontal band saw, manual horizontal band saw and 1 Doall vertical band saw. The Fabrication Department is a more recent addition to our shop. 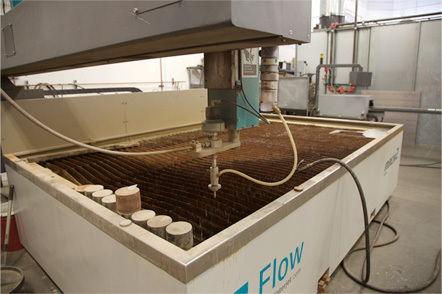 This area has a Flow Waterjet that has a 60"X120" cutting envelop. We have added a 80ton Amada CNC Pressbrake with an 8' bending capacity. Our welding department has 2 Miller 252 mig welding machines and a Miller Syncrowave 250 tig welding machine, as well as small to mid size spot welding machines. The addition of the fabrication side to GSI International was our vision to develop our own line of automotive after market suspension components. This brand is sold and marketed as GSI Machine and Fabrication or GSIMFAB. This has seen great success for us and we plan on building on to this portion of our shop. GSI International has an in house finishing department. We have a large industrial paint booth, Industrial oven, Media Blasting Cabinet Vibratory tumblers. We are capable of painting small to medium size parts and also capable of pad printing parts with part numbers. The assembly department is responsible for all final installation of helicoils or any other items that would need to be assembled requested by our customers. The GSI quality/inspection department has a ISO-9001-2015 quality system in place that the entire shop adheres to. In every department you will see this quality system in place and being implemented. We have a Brown and Sharpe CMM, thread gages, pin gages and numerous hand inspection tools to qualify parts coming out of the machining and fabrication departments.